I've recently been getting into cream blushes more and more. I love the versatility of them and since I have dry skin, they often add a much needed luminosity. 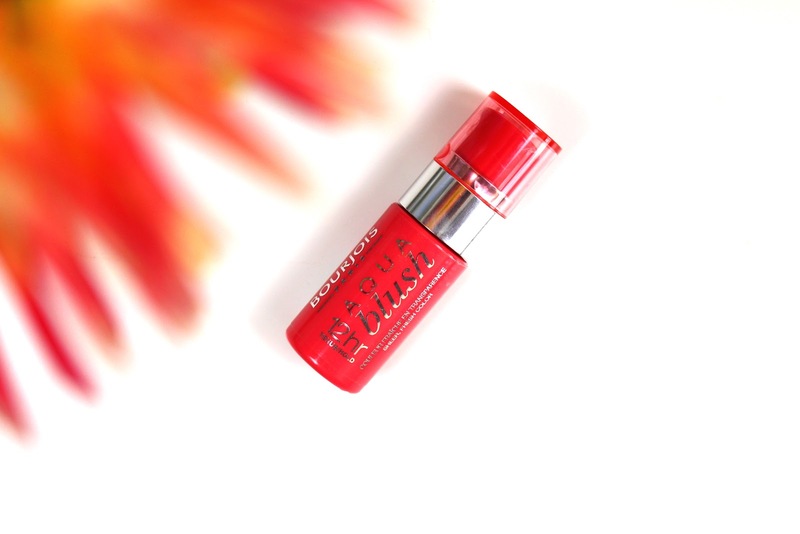 Having tried the Bourjois Aqua Blush in Berry Nice, I think I've found a new favourite. Liquid blushes can be very daunting, so I wasn't sure what to expect with this one. They often leave a blotch where you first apply the product and can be difficult to blend. The Bourjois Aqua Blush (£8.99) definitely does not do that. It's a dream to apply and for such a pigmented product, it blends out to a natural flush. Bourjois claim this to be a 12 hour blush. I definitely don't agree with that. It lasts about 5-6 hours on me before fading. However, it doesn't fade awkwardly and is so easy to reapply. The texture is very light and not overly liquid. I'd say it's more of a whipped texture than a liquid. I prefer to apply it with my fingers and go over the edges with a brush. You really don't need much either. A light pump is enough for a light application on both cheeks. That brings me to my next point, the pump actually works and dispenses the perfect amount of product. The amount in the swatch above is definitely enough for both cheeks. It's not a slippy blush but it isn't overly glowy or matte. As I said earlier, it's a very natural finish. The shade Berry Nice, in my opinion, is more of a watermelon pink with a hint of berry. It's very wearable and I am definitely going to purchase more shades. I think this particular colour is spot on because it's vibrant enough for the Summer but it has a slightly deeper berry tone which could take you through the Autumn. I absolutely love this blush and cannot wait to get more shades! Let me know if you've tried it and if you haven't, go get it now!